Yes, that’s right – in summer too. Round 3 is Trousers vs. Shorts and it’s tighter than you might think. Before we get started we would hasten to add one, small, caveat. We do not mean the heavy wool trousers that are so thick they can be used as loft insulation. We’ve got something lighter in mind. 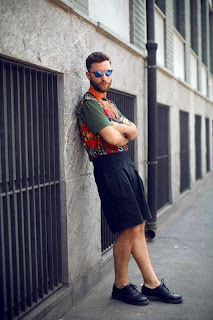 Now, shorts – we all get very impassioned about them. For example, some of us at Gatsby are happy to embrace them, whereas others feel that knees are the ugliest part of the human anatomy and they are historically associated with scout masters. Admittedly, shorts allow better circulation, comfort and, now that someone has eradicated the three-quarter length, some sartorial elegance. But it is the lack of versatility that bothers us. Case in point – walking into a classy restaurant, there is often a no shorts dress code (particularly whilst on holiday for some reason). Consider too, the impression the boss would get seeing our calves on show as we walk down the aisle of desks. 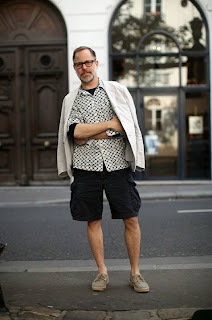 Trousers – in the summer months it is easy to scoff, but before that let’s just pause to take stock of the options: chinos, linen and seersucker. The chino, as previously examined, should be a contender for the most versatile item in menswear award. It is at home as much in the office as it is in a pub (this is ideal for offices that indulge in the lunchtime session on Fridays). It may be that for the more formal business environment, that a smarter thread is required. This is why a linen/cotton blends and seersucker are swatches that are popular throughout the summer months. Seersucker, for example, due to the nature of the threads and the way it is woven, bunches together in places holding the fabric away from the skin and allowing a cool breeze to cool us down. A pair of trousers with its own cooling system sounds perfect – the only drawback is a tendency to wrinkle over the course of the day. But if embraced, that can add a little more “end of day dandy” to one’s stride. 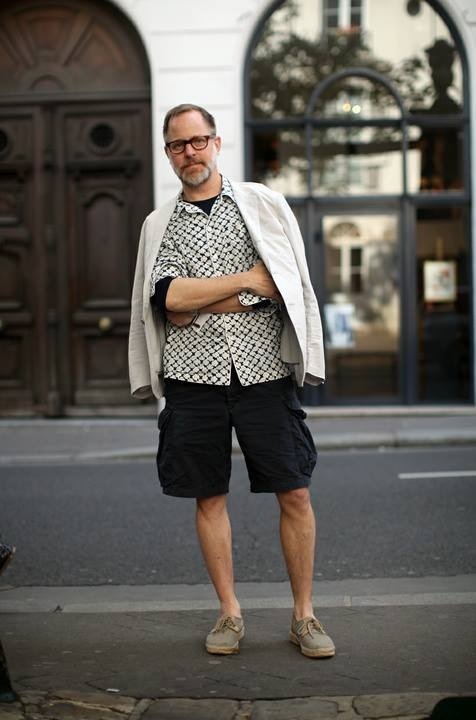 There is always what might be termed the “haughty sartorialist” factor as well. This can be defined as the man that would rather sweat profusely in the summer sun, rather than enjoy the merriment of his liberated peers in their shorted glory. What do you think? Is it really necessary to show that much skin just because the calendar says so? 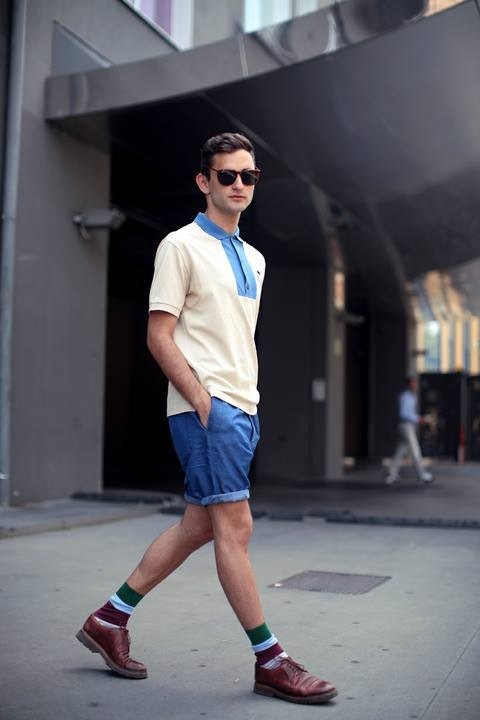 Should shorts be left to sport and train spotters? Or are trousers too restrained for when we should be revelling in the warmth?